WindowAlert makes unique decorative ultraviolet window decals that helps prevent wild birds from flying into windows. The company needed better marketing materials to increase sales at their retail stores and a better online presence. 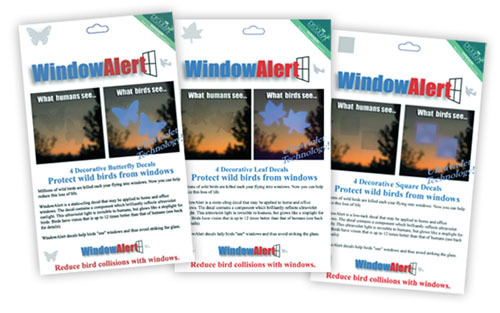 BACKGROUND: Window Alert desired a new brand identity to help increase profits on their window decals that prevent birds from flying into windows. PROBLEM: Their logo, packaging and messaging were not connecting with consumers in bird stores and other retail shops, and as a result, sales of the product were not meeting expectations. SOLUTION: Kinetic Branding created a brand strategy using brand energy, that focused on connecting with consumers on a deep, emotional level. As a result of the new packages, sales of the WindowAlert decals have increase more than 400%, and the company is now in the process of extending the line and creating more decals and other Window Alert products. The unique formula that Kinetic Branding identified for WindowAlert is Nurturing Response, Self Worth, and The Desire to Get The Best. Everyone has the desire to nurture to some degree. Bird enthusiasts, the target audience for WindowAlert, have extremely high levels of care and concern for the well-being of birds. These consumers are always on the lookout for products that will protect birds, whether they are aware of that or not. Their nurturing response will kick in when they experience a product that meets their desires to care and protect birds. We all have the innate desire to have true worth or value for ourselves. We want to be viewed as good and decent people. WindowAlert provides consumers with the opportunity to feel good about themselves by helping birds stay alive. When we do something so noble as to protect life, we feel good about ourselves. 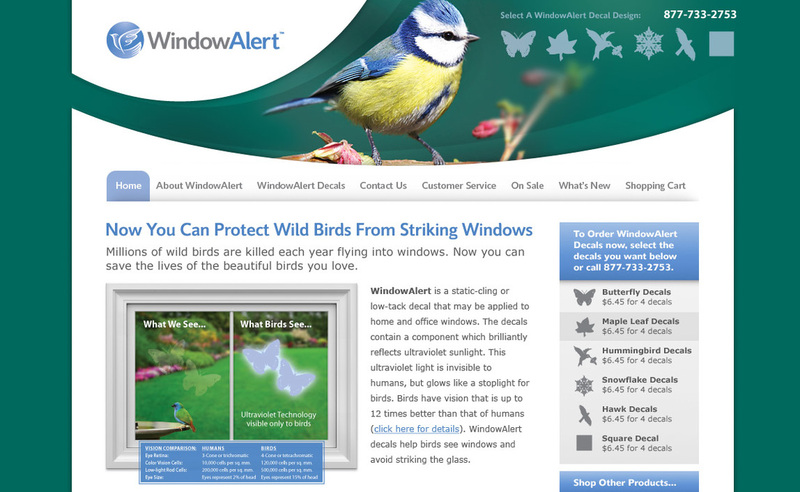 WindowAlert provides consumers with self worth because the consumer is able to save the lives of birds. For people who have a deep desire to nurture someone or something, the desire to get the best possible product available is greatly intensified. The consumer will dig deeper to discover which product really is the best because of their care and concern. They will read reviews and do their research. WindowAlert has done plenty of research on their own. Their product really does prevent birds from flying into windows because their patented ultraviolet decal technology allows birds to see clear glass windows and avoid flying into them. The new corporate brandmark that Kinetic developed for WindowAlert was based on the top three emotional elements of "Nurturing," "Self Worth" and "Get the Best." Focusing on the top emotional element of "Nurturing," Kinetic Branding created an elegant and emotion-filled logo mark that entwines a person's hand cradling a bird. This human and bird connection brings a strong emotional connection to the new brandmark. With stylized lines and violet color gradations, Kinetic Branding developed a new logo that connects with the hearts and minds of bird enthusiasts who want to care and protect birds. The original WindowAlert logo was a more literal portrayal of the product, but did not focus on the consumer's emotions. Looking closely to the old logo's portrayal of the bird and the window, it is unclear whether the bird is avoiding the window or has already struck the window. Kinetic Branding continually maintained a focus on the top three emotional elements when designing the new package envelopes for WindowAlert. The new design is shown to the left, and the old package design is directly below the new design. Nurturing Response is the best emotional element to make a deep connection with consumers. Bird enthusiast’s love to watch and care for birds. The old WindowAlert packages did not show any birds–the very thing the consumer loves and wants to nourish. Kinetic Branding focused on the bird in their design, and selected a beautiful wild bird for each of the five packages. The new Window Alert packages now take on a couple new dimensions that the old packaging failed to do. First, by prominently displaying beautiful birds on the front of the package, the consumer instantly becomes interested in discovering more about the product because it triggers their emotional desire to nurture birds. Secondly, by having unique birds on each product package, the entire line becomes collector items for the consumer. Whereas the consumer may have only bought one or two designs, they now will want the entire line of products so they can cherish all of the birds represented on each package. The packages also carry a powerful message that taps into the Self Worth emotional element. "Now You Can Protect Wild Birds From Striking Windows" triggers the self worth emotion because it makes the consumer the hero. Traditional marketing typically focuses on the product as the hero, but Kinetic Branding knows that it's more effective to make the consumer the hero, and the product becomes the way in which the consumer feels self worth. The WindowAlert website also carried the company's brand energy formula throughout the design and content on every page. Prominently featured in the website design are the many wild birds that also adorned the packages. As the seasons change, so does the bird images of the WindowAlert website. Staying consistent with the brand identity, the entire site is modified every three months with a different wild bird in the design. Since launching the new website design, WindowAlert has seen an increase in sales by more than 250%. 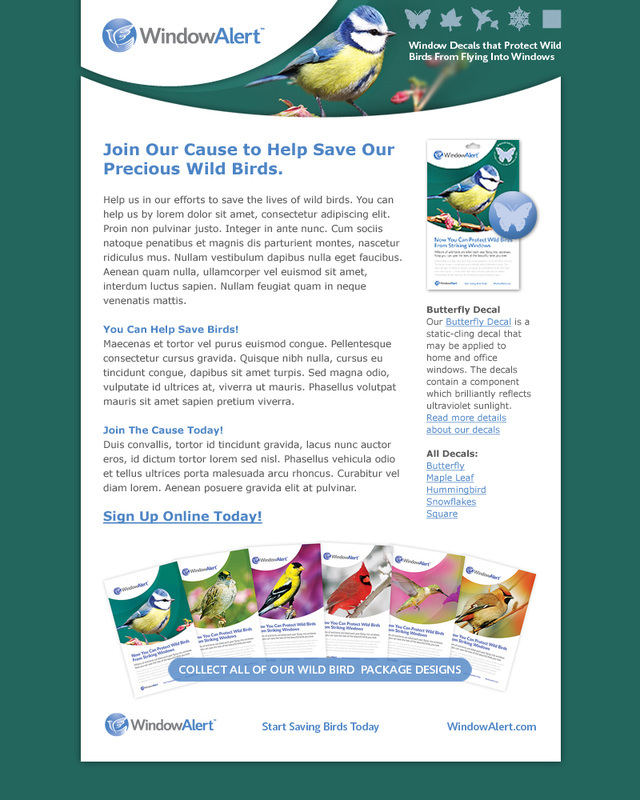 The WindowAlert email newsletter that goes out once a month also changes in design, presenting a new wild bird with every issue. The entire WindowAlert brand identity remains consistent, from the logo, to the packages, as well as the website and email marketing messages. All brand communication pieces reflect the company's brand energy formula of 1) Nurturing, 2) Self Worth and 3) Get the Best.